‘Secrets of a Soccer Mom’ Opens May 15, Tickets On Sale Now! 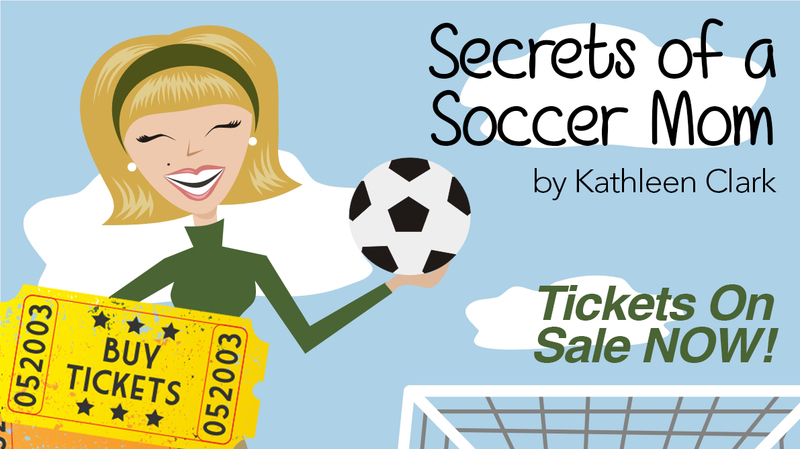 Secrets of a Soccer Mom, the second show of our first season in our new, permanent location in Lake Forest, opens Friday, May 15 (with a Preview Night on Thursday, May 14) and runs thru Saturday, June 6. Secrets of a Soccer Mom (formerly titled Soccer Mom), written by Kathleen Clark, tells the story of three engaging women who reluctantly take the field in a mothers vs. sons soccer game. They intend to let the children win, but as the game unfolds they become intent on scoring. The competition ignites a fierce desire to recapture their youthful good-humor, independence and sexiness, paving the way toward a better understanding of themselves, their families and changes they need to make in their lives. The play is directed by Christopher Sullivan* with a cast that includes Shana Jean Martin, Kelly McNamara and Hailey Tweter. Secrets of a Soccer Mom opens on Friday, May 15, at 8 p.m. (with a Preview Night, Thursday, May 14). The play runs Thursdays thru Saturdays at 8 p.m. and Sundays at 5 p.m. from May 14 thru closing night, Saturday, June 6. CLICK HERE TO PURCHASE TICKETS. Modjeska Playhouse is located at 21084 Bake Parkway, Suite 104, Lake Forest, CA 92630. For more information, please call (949) 445-3674 or email contact@mphstage.org. *Denotes Modjeska Playhouse company member.